This is the combination that I just bought for my Kitchen ! 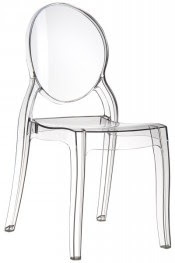 I ordered the Ghost Chairs at a Dutch website﻿ called Alterego (see pic above) . They are great quality and oh my the service ... They were delivered almost as quickly as I oreded them ! Their prices are also correct! I had been looking for these Ghost Chairs for a long time and every time I found them in a shop -> they were tooo expensive ! AlterEgo luckily had just the right price !. You can order them online here. My inspiration for my Kitchen interior design was a mixture of these 2 images above. 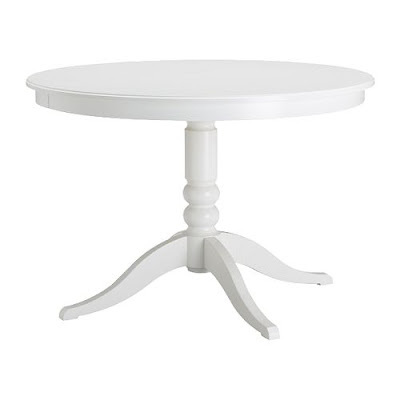 I wanted a round table (bought at IKEA here) but I didn't want to make it too modern, that is why I opted for the chandelier above the table that I ordered online on Maison Du Monde here. I think it will look great, super curious to see your place when it's finished!